Lawful permanent residents can apply for U.S. citizenship after five years of acquiring permanent resident status. The waiting period is only three years if married to a United States citizen or if on active duty with three years completed service in the U. S. military. U.S. citizenship can have tax, employment, and other benefits such as automatic citizenship for minor children. Becoming an American citizen makes deportation impossible unless citizenship was gained through fraud. There are, however, certain circumstances when eligible permanent residents should not apply for American citizenship because doing so can result in deportation. 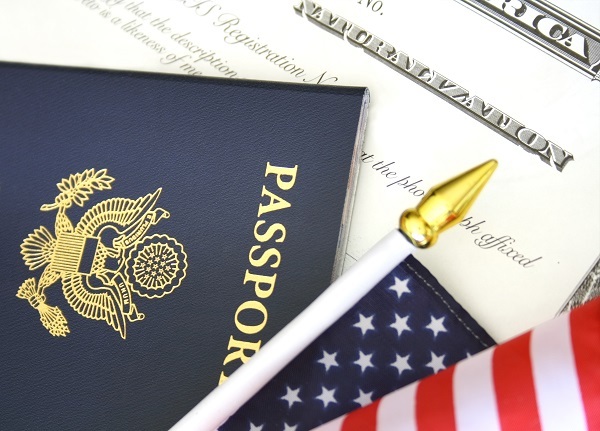 Murphy Law Firm provides a thorough review of the foreign national’s individual circumstances to determine whether the requirements for citizenship have been met, whether there are any impediments to naturalization and if so, whether the problems can be overcome. Murphy Law Firm also prepares and files the applications for citizenship, provides guidance to foreign national for interviews and examinations, and if necessary files appropriate federal court actions to compel completion of the application process for long delayed adjudications. United States Government and History Knowledge — An applicant for naturalization must be familiar with the fundamentals of U.S. history and the principles and form of government in the U.S. A citizenship test will be administered orally or in writing by USCIS to assess your knowledge in these areas. Working Knowledge of English — Applicants must pass a written English test, unless they are exempted from the requirement due to age. Physical Presence in the United States — A green card holder must have spent 2 1/2 of the previous five years in the USA (18 months out of the previous three years for spouses of U.S. citizens and veterans), unless the absence was pursuant to employment overseas with the U.S. government, military service, or other approved employer. Good Moral Character — The applicant must not have criminal convictions of a serious nature during the qualifying five or three year period of time. To become a citizen, one must take the oath of allegiance to the United States. This oath may be modified, when the applicant establishes that he or she is opposed to any type of service in armed forces based on religious teaching or belief. Generally, U.S. citizen parents of children born abroad may file an Application for Certificate of Citizenship. This form should be completed in accordance with the instructions provided and should be accompanied by two photographs of the child, copies of any documents that verify eligibility, and the required filing fee to be considered complete and ready to process. Important Note: Children born abroad to U.S. citizen parents derive citizenship from their parents. The Certificate of Citizenship is merely a record of citizenship; it does not confer citizenship on an applicant. Adopted minor children of citizen parents also acquire citizenship through their parents. Certain applicants who have served in the U.S. Armed Forces are eligible to file for naturalization based on current or prior U.S. military service. Applicability depends on the length and characterization of service.